For older Americans who have watched their retirement savings shrink over the past few years, downsizing seems like a no-brainer. Wouldn't moving to a smaller home mean lower mortgage payments and living costs? Well, maybe -- but experts agree that a number of factors, not all of them financial, make each case unique. "Your biggest expense is your home," says Steven A. Sass, program director at Boston College's Center for Retirement Research. "Our sense is that people who are retiring and are financially strapped should think hard about downsizing as a way to improve their income." According to the Center's research, downsizing from a $250,000 house to one that costs $150,000 could increase yearly income by $3,000 and reduce annual expenses by $3,250, saving the homeowner $6,250 a year. Here's the math behind the figures: Subtracting the price of the new home from that of the old adds $100,000 to your savings. From that, subtract the cost of moving. "Moving is expensive," Sass says. While every situation will be different, moving can cost 10 percent or more of the selling price of your home, he says. Ten percent of $250,000, or $25,000, brings the profit down to $75,000. Using the rule of 4 percent, a rule of thumb financial planners use to calculate how much retirees may safely withdraw from their savings annually, Sass says $75,000 in the bank could add $3,000 of income per year. The Center calculates the cost of taxes, insurance, utilities and upkeep at 3.25 percent of the home's value -- a figure that will also vary depending upon where you live, Sass says. At that rate, household expenses for the old home would be about $8,125 a year. For the new, smaller home, they drop to about $4,875 a year -- resulting in an additional gain of $3,250 a year for a total annual savings of $6,250. However, Sass emphasizes that this example is hypothetical. Calculating costs is rarely that straightforward. And the rule of 4 percent has been challenged recently by financial experts, complicating the issue further. The amount a retiree can withdraw from savings without risk per year may be smaller -- at the same time, the retiree's need may be growing, rendering the decision to downsize questionable. "For someone downsizing from a home they own, there are a bunch of hidden costs to consider," says Monte Kane, managing director of accounting firm Kane and Co., P.A. "First, many factors could lead to higher property taxes, even though the house itself is smaller. Perhaps the prior home was subject to limitations. Or the fair market value of the new home could be higher." The timing of the closings on the two homes could also result in unexpected costs. "Ideally, someone who is moving should close on their purchase after they close on the sale of their old home," Kane says. "Otherwise, they may not have enough cash flow to carry them through the transition." 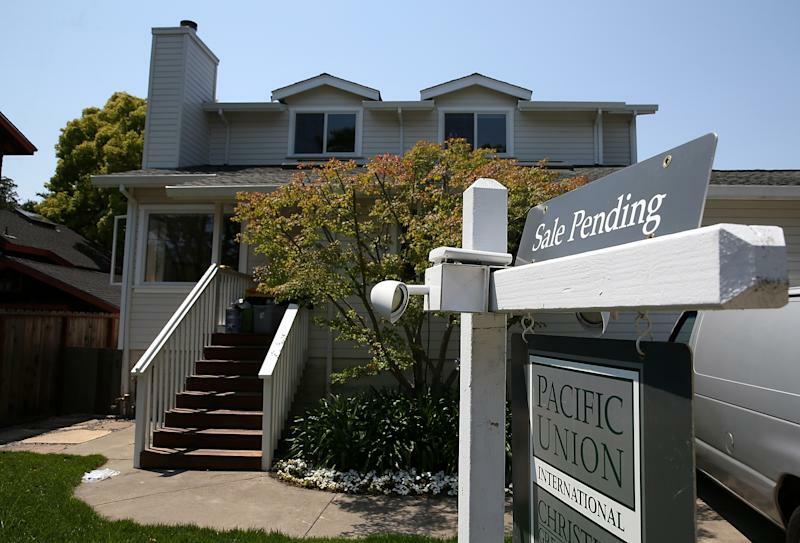 Some people will cash out on the house and go into a rental, but that's a risky proposition, says CFP professional Artie Green, founder of Cognizant Wealth Advisors in Palo Alto, Calif. "A fixed-cost mortgage does not increase over time," he points out, while rental rates are unpredictable. "In the majority of cases, owning a home is a better financial model than renting." The cost of transportation and gas should also be considered, Kane says. "How far will they be from the places they need to go -- the grocery store, doctors, hospitals? Will they be able to access public transportation?" "A lot of older adults move out of the city without thinking about what happens when they can't drive anymore," says Jullie Gray, a certified geriatric care manager who is a principal of Aging Wisdom, a care management service based in Seattle. "It's human nature to think that things will stay the same, but as we get older, there are a lot of things we need to think about -- not only monthly expenditures but physical changes and how those needs will be met in the most cost-effective way." On the other hand, she says, changing medical needs may make staying in place too costly to be a practical option. Particularly in older homes, Gray says, a remodel to widen doorways for walkers, make bathrooms more wheelchair-accessible or accommodate a live-in helper could be very pricey. "Seventy percent of those over 65 will need some kind of long-term care service eventually," she says, "so it's a good idea for older adults to take a look at their homes and see if it can meet those needs." Retirees who would like to stay put but don't know if they can afford it have a number of options, Green says. One is to refinance the home. Another is to get a home equity conversion mortgage, or HECM, a federally insured reverse mortgage for seniors that has become more attractive due to changes enacted in 2010, he says. "The cost of these mortgages has gone down," Green says. "And now there's an option to create the equivalent of a line of credit that you only tap into when you need it, as opposed to taking it all out." A decision to get a reverse mortgage should be entered into carefully. Sale-leaseback is another option, he says, but that carries the same risks as other rentals. "The most common strategy is to sell the home to your children and rent it back from them," he says. "But unless you are very careful with legal documentation, you still run the risk of them evicting you." Another consideration: Your children would lose the ability to step up the home's basis to fair market value at your death, a tax break that kicks in if they inherit, rather than purchase, the house. Homeowners might also look at potential cost savings on the utilities side, says Kane. Utility companies usually offer free surveys to help you see how you can reduce your bill. Having a plumber check for leakage and fix it can help you save on water bills. Moving to a new home is not the kind of decision seniors should make in a vacuum, Green says. "First, the whole family needs to put together a retirement plan. Make a list of all of the things the person or family wants to do for the rest of their lives, prioritize them and assign costs. Now they can begin to back into the decision to sell or downsize." That decision should also involve input from a financial planner or accountant, he says -- not only to make sure all the options are on the table, but also for an objective perspective. Finally, says Sass, if downsizing does make sense, don't put it off. "Moving becomes more difficult with age," he says, "both physically and socially. If you put it off till tomorrow, when tomorrow comes, you'll put it off again."